They say that if you want to succeed in business, you should think big right from the start. That’s why for my next eCommerce platform review I picked a platform that boasts with quite significant growth statistics of its customers, such as 28% average annual growth of its merchants (what’s almost twice the industry average). But are these statistics, followed by some smart branding practices, enough to make BigCommerce a choice for serious entrepreneurs, who want to invest real money in their business? Let’s find out. As usual, the review is split into three different parts. In the first one, I’ll introduce you to the platform itself, go over its major selling points, key benefits, as well as things that I believe could have been done better. 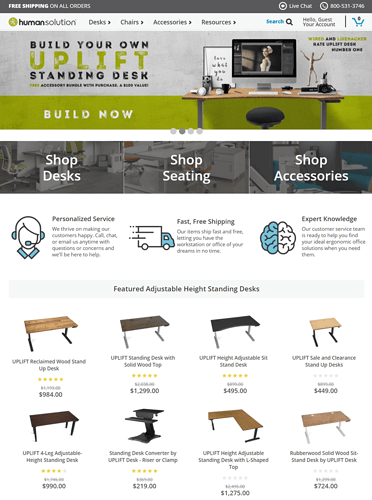 In the middle part, you will see how to get started with the platform should you be interested in using it for your online store. 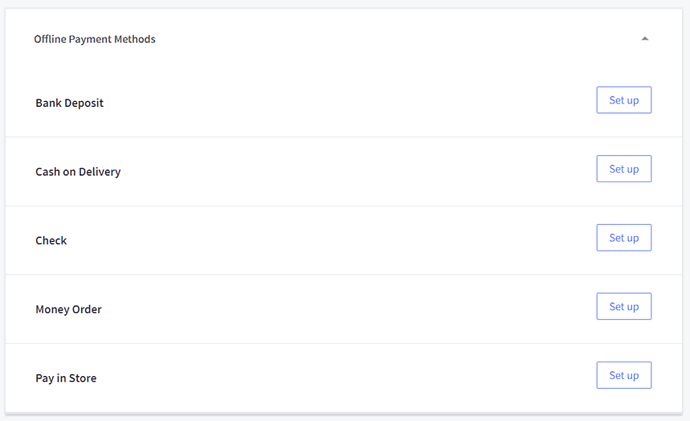 The last part is a summary of all the BigCommerce strengths and weaknesses, followed by my personal recommendation. Just as the platform’s branding suggests, from the first visit we can clearly see that the company is all about growth. The whole marketing is aimed at those who want to create their online store with the intention of turning it into a real business – so it might not be appealing to complete beginners right from the start. As one of the biggest players in the eCommerce industry, the platform has processed billions of dollars in transactions and offers one of the most comprehensive sets of services, making it a real eComm hub for all your sales channels. Of course, just as every eCommerce platform that I’ve tested, it has a few major points that differentiate it from its competitors. Apart from the growth statistics, its major selling points advertised include the best uptime in the industry, (claimed) 1/4th of the cost compared to self-hosted solutions of comparable possibilities and… 0% fees on each sale, topped by some great deals with the most popular payment processors such as PayPal. Sounds impressive? In a minute, we’ll take a closer look at pricing and hosting that comes with each package. 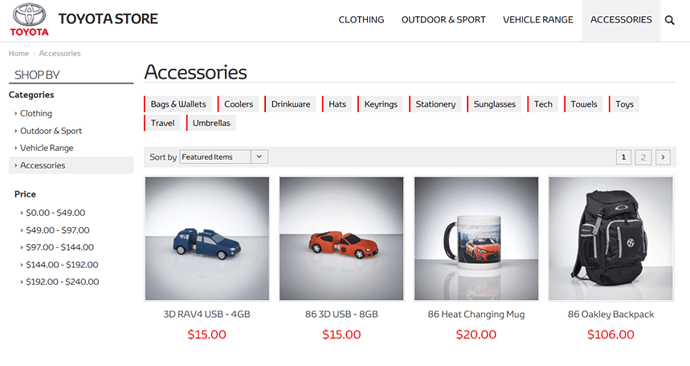 Is BigCommerce exclusively for eCommerce? 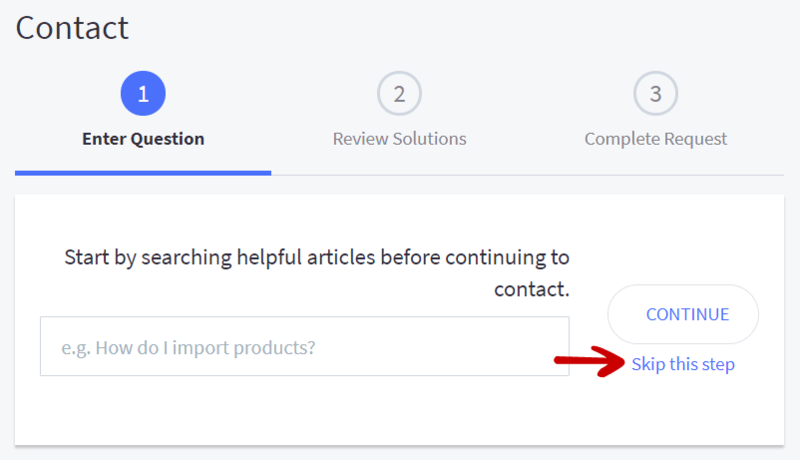 But before we jump right into reviewing packages, let me go over one question that gets asked quite often whenever I review an eCommerce platform. Can it be used for projects different than the ones focused on eCommerce? The answer is no. 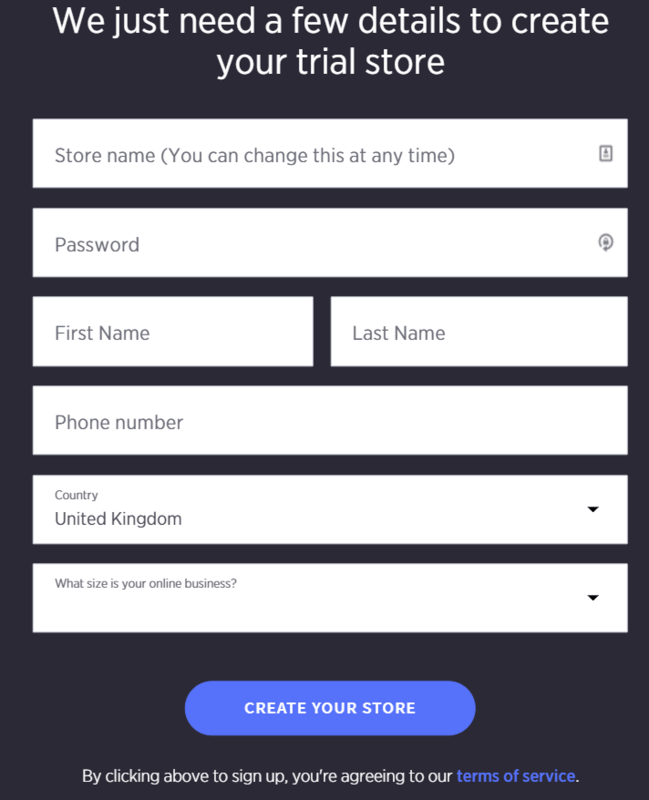 Just as the name suggests – it’s primary (and only) focus is on letting you create a successful online store and sell your products to your (hopefully worldwide) customers. This approach allowed the company to focus exclusively on the eCommerce industry. Importantly, they are more than happy to share their expertise with their customers. The name suggests it’s just for big players. Is that true? Even though the platform seems to be targeting only big eCommerce stores and investors with deep pockets, it offers something for everyone. It doesn’t matter whether you are just starting out or already drive significant traffic to your online store. Keep in mind, though, that its initial plans are priced at a little bit higher price point compared to that of some of its competitors so it might not be the best choice for complete beginners or people who are not going to invest in their store further down the road. What about pricing and hosting? Just like the majority of leading out-of-the-box e-shopping platforms, BigCommerce comes with a decent hosting deal, which offers unlimited bandwidth and blazing fast content delivery network. Add to that 99.99% uptime (compared to 99.95% of the industry average), and the promise to keep average response time at around 1/3 of a second, even during holidays or critical events for all online entrepreneurs, such as Cyber Monday. So, what’s the price one needs to pay to enjoy all those features? Because the platform is aimed at online businesses of all shapes and sizes, company’s offer is made of four different pricing plans. From the initial one, priced at $29.95 per month, all the way to the enterprise one, for which the price is negotiated separately. What’s important, is that they promise to offer a lower price compared to the ones offered by Magento or Shopify Plus for the same level of service. 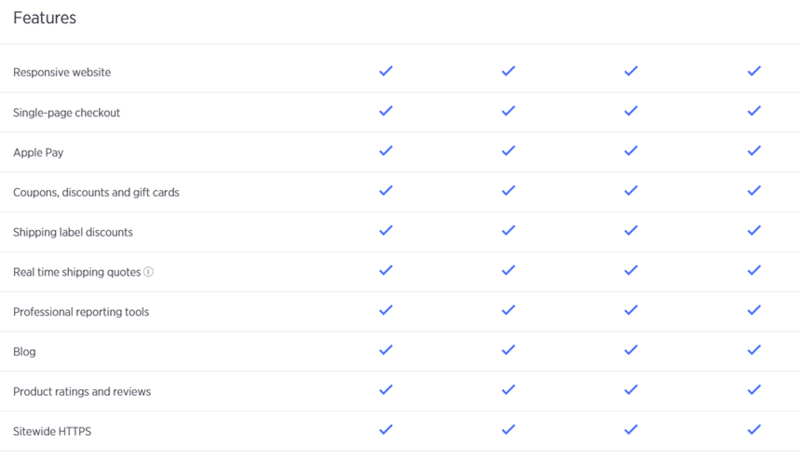 Another significant advantage of BigCommerce is the fact that all (in my opinion) core features are available in every plan. One of them is lack of any fees on transactions – the platform doesn’t charge you anything for the products you sell. 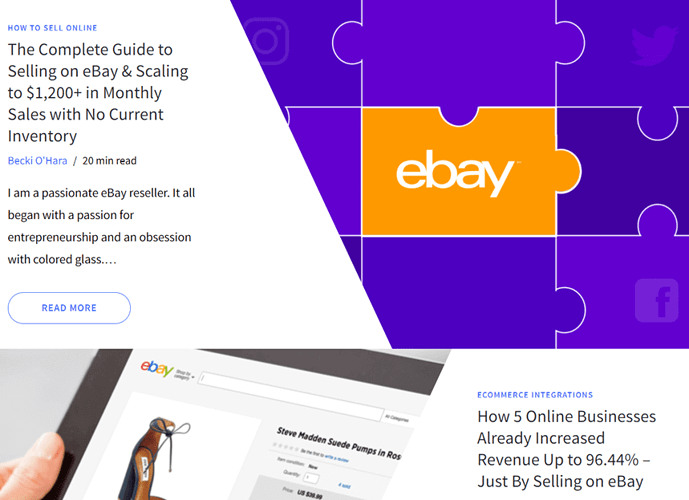 On top of that, each of the plans comes with an unlimited number of staff accounts and products, the ability to personalize the branding and the option to connect all the most important sales channels, including eBay and Amazon, Facebook, Pinterest and Google Shopping. 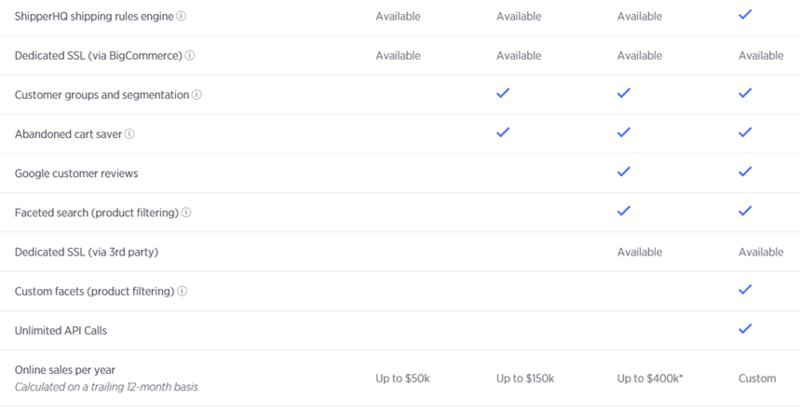 The initial plan, while priced higher than some entry-level plans offered by competing brands, lacks just a few advanced features, such as abandoned cart saver, customer groups and segmentation, or faceted search. But if all plans include all fundamental features, where’s the catch? A major limitation is a number of yearly sales revenue. It is calculated on a trailing 12-month basis, and the first plan is limited at just $50,000. The limit goes up to $150,000 and $400,000 for the next two plans respectively and is negotiated separately for the enterprise plan. The good news is, apart from a higher sales limit, there are other perks for choosing a more advanced plan. Most notably, the exclusive credit card rates processing from PayPal. And, as you know, every .1% that you manage to get out of your fees boosts your ROI. Of course, nobody likes paying before testing the service first. Now that we know what the platform has to offer let’s find out whether we can play with it free of charge, before making the final decision. 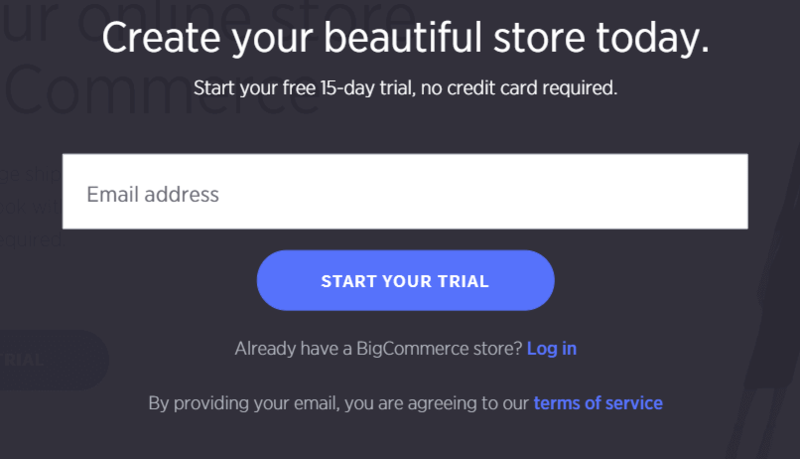 Does BigCommerce offer a free trial? For all those who need to test before they take out their credit cards out, the good news is the platform offers not one but two different trials. The first one is a 15-day-long offer that does not require you to provide your credit card details (which always makes testing a lot less stressful, and most people cancel 1-2 days earlier ‘just to make sure they won’t get charged’). 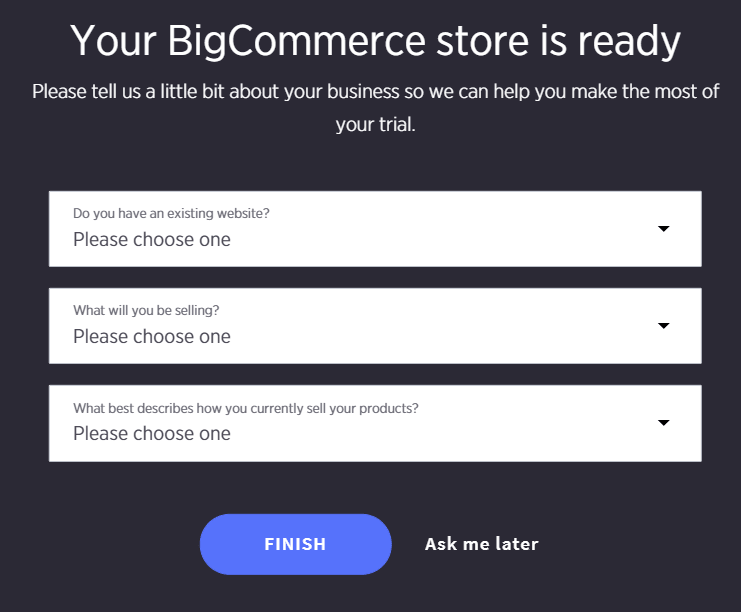 The second plan is an enterprise-grade solution, but to learn more details about it, you need to contact BigCommerce directly. 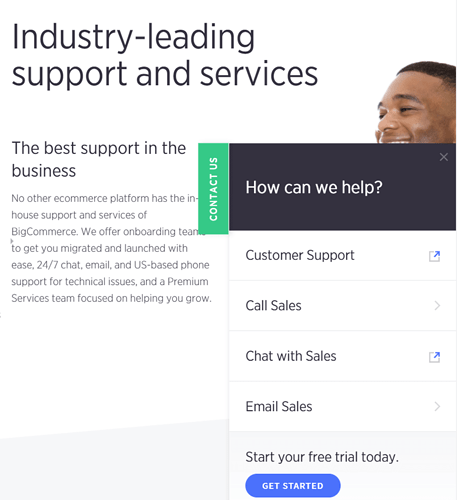 When it comes to offering support, there are two ways in which BigCommerce customers can look for help in case of an emergency – their online community forum or their 24/7 support team. There are also a few other options which you can use to educate yourself on running an eCommerce store – but because they are not focused on helping you solve small, ongoing problems (that’s what support is for) I will go over them in the next section. 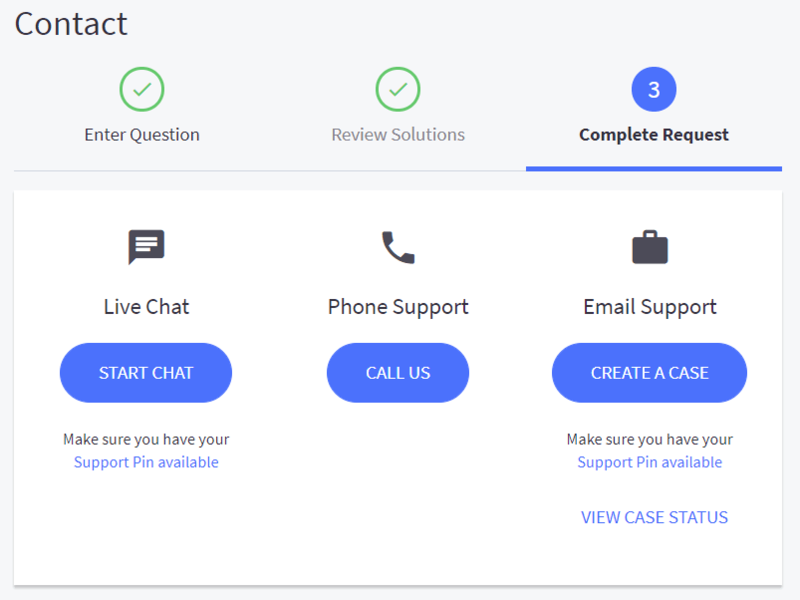 The place to start before you contact their support team. Remember that even if you manage to get in touch with someone from the team right after you contact them, it’s often much faster to start by looking for an answer on your own – especially if you can do that on a forum as active as BigCommerce’s one. Thousands of issues are divided into multiple categories related to setting up, managing and marketing the store. All that makes the forum an excellent source of knowledge. And the built-in search engine helps find the answers to your questions within minutes. Of course, sometimes the problems that you come across are too specific to your situation to find a solution in a public forum. In this case, you will want to contact company’s support team. Nowadays, being in touch 24/7 with your customers is a must. Luckily, BigCommerce offers chat, email and US-based phone support round-the-clock. What’s worth noting is that their phone line is highly professional, and the company boasts 90% first-call resolution of all problems, as well as an average call answer time of well below two minutes. What I believe is a significant strength of the support team is that its members can help you with more than just technical problems. You will get in touch with people who know the ins and outs of the platform as well as with experts ready to answer your questions related to shipping, taxation or conversion rate. Does BigCommerce help newcomers learn new skills? Even though the brand name might suggest otherwise, BigCommerce is well prepared for all beginners and those who’ll be doing most of the work themselves. Let’s take a quick look at how they can educate themselves. 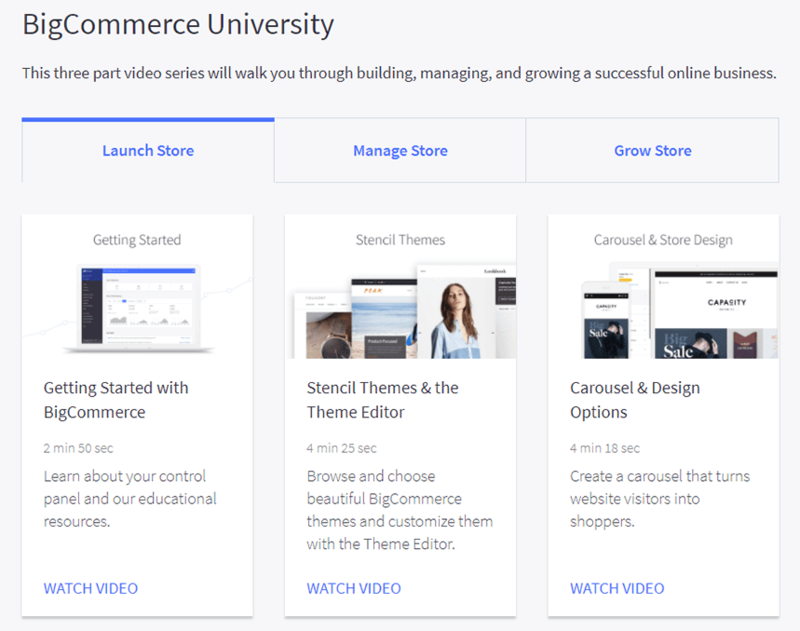 For those who prefer video to text and are looking for a step-by-step course that will take them from complete beginners to advanced e-store owners, the company prepared a video course called BigCommerce University . It consists of over 40 videos, divided into three different chapters – launching the store, managing it, and growing it. From getting started with BigCommerce, all the way to creating customer groups and setting up Google Analytics. For those who are looking for an answer to one quick, quite specific question which they’d rather not bother technical support with and which might be too simple to be found on the community forum, BigCommerce has prepared a unique section called eCommerce Answers . 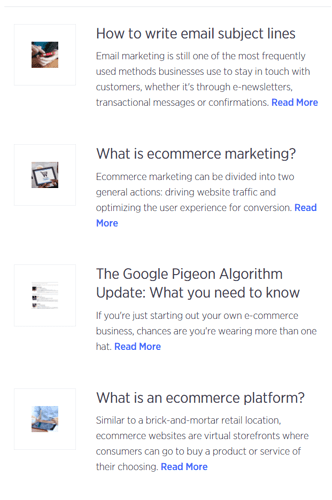 As of now, it consists of over 300 simple marketing online commerce questions answered. 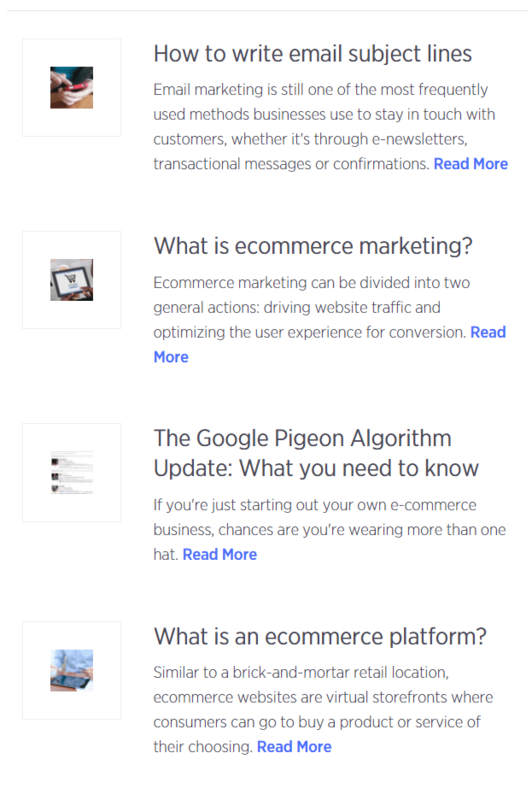 From simple eCommerce how-tos to questions on marketing and strategy (followed by a glossary). Note: The biggest drawback of this section is that, while the questions are divided into categories, there is no internal search engine for it. Finally, there’s of course company’s blog. What I like about it is that the posts are usually long, comprehensive, and full of examples. Divided into eight different categories, they are another, up-to-date source of knowledge for all customers. And the fact that eCommerce entrepreneurs write most of them, only makes them more educational and relevant for all business owners. 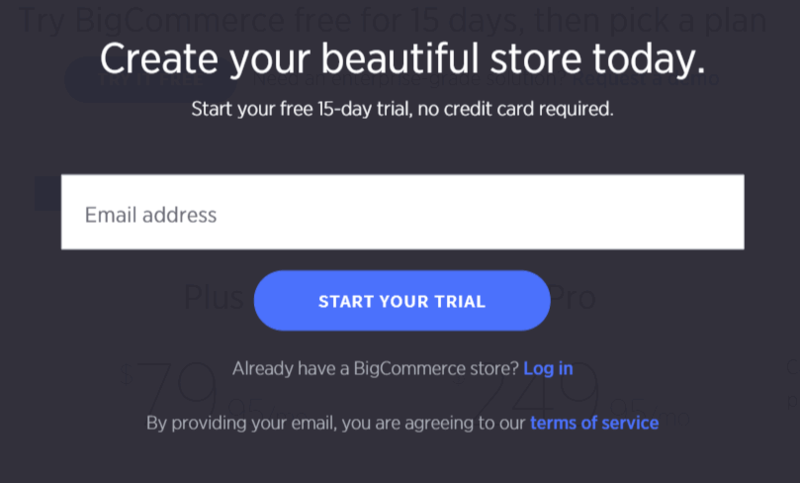 Are there any tools or extra offers available for BigCommerce customers? 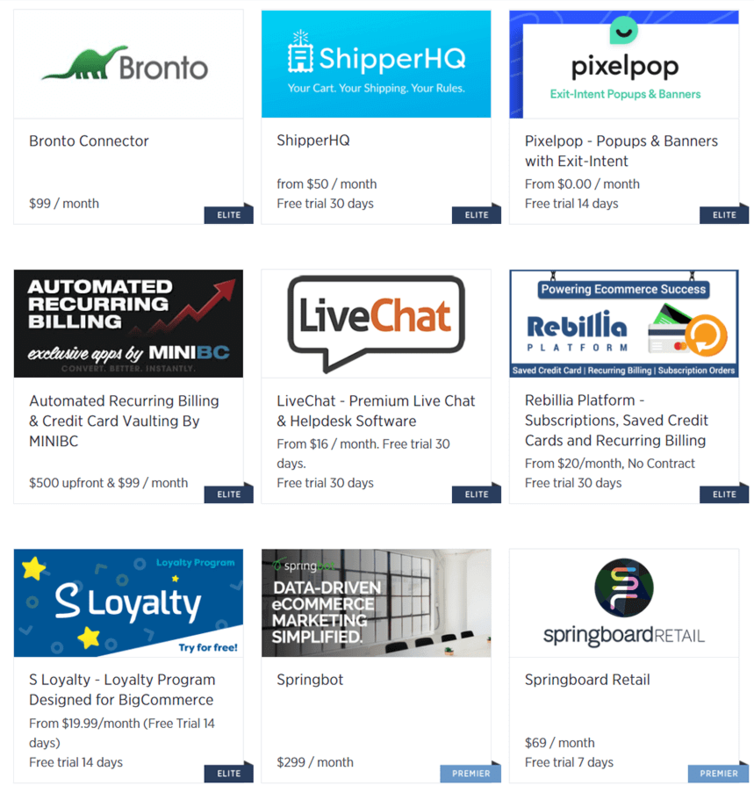 Many hosting and eComm platforms provide their users with great deals on things such as autoresponders, accounting software or CRM solutions. What about BigCommerce? Luckily for its users, the company offers a wide variety of deals in many different categories. Some of them are completely free while others come at a reduced monthly rates or transaction fees. Because there are quite a lot of them, there’s no point in listing them here – click this link to view them for yourself! Is it easy to outsource some of the work? A question which I usually get when I work with people who treat their online stores as an additional investment and not their main business. The answer is yes, but there’s a catch. Because it’s not as popular as online stores based on WordPress or Magento, there are not as many qualified specialists to choose from. Luckily, the platform gives you the access to over 400 partners, who can help you set, manage and grow your store. What if I want to work on my own? Do I need coding skills or anything like that to set up the store? Not at all. While understanding how online marketing works is recommended, you don’t have to worry about any technical skills such as coding. The platform offers thousands of templates, which are very easy to customise thanks to their intuitive Style Editor (no CSS required). To prevent beginners from applying accidental changes, all edits can be previewed in real time. Moreover, all BigCommerce stores are ready for mobile users out of the box and come with optimised online checkout and great built-in eCommerce analytics. You will see how easy it is to get started in the second part of my review. What about security? Is BigCommerce a safe platform? I believe security in online commerce is a necessity. If you are not securing your store and the data of your customers, you might as well not run any business at all. First, the safety of transactions is one of the primary things potential customers look at before making a purchase decision. Second, some of the safety measures are required by law. When it comes to security, the platform is no different from its top competitors – it has all the top-grade features, such as Level 1 PCI compliance, multi-layered security (intrusion detection software, file integrity scanners, server-specific firewalls), topped by 24/7 human monitoring. 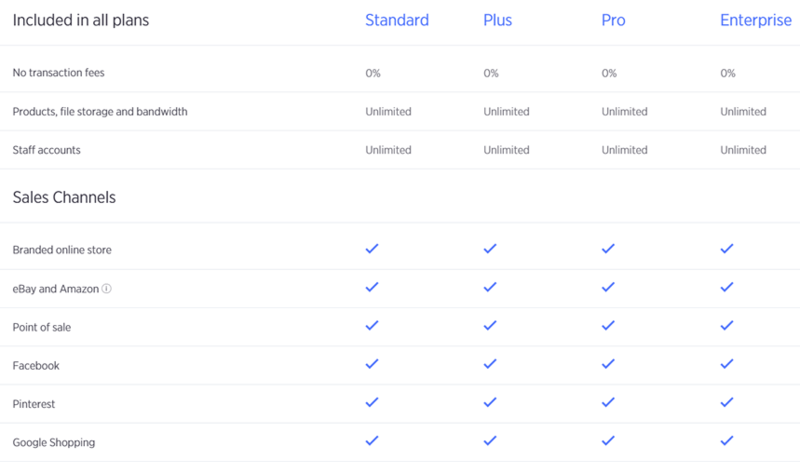 All plans come with HTTPS protocols, and, on top of that, enterprise-grade customers receive DDOS protection normally worth up to $5,000/month on other platforms. With all its great features followed by affordability, it’s no surprise the platform attracts both big players and small eCommerce entrepreneurs. Below are five examples that may (or may not) encourage you to give the platform a shot. Apart from being one of the biggest car manufacturers in the world, Toyota is the brand with the biggest market share in Australia. Of course, while I’d love to say that that’s all thanks to their online store where they sell hundreds of cars on a daily basis, that’s not the case. Because they don’t sell there any cars at all. At least not the ones which you can use to get to work. The next store is an excellent example of a clean, professional eCommerce store. Travelpro is an internationally-recognised travel bag manufacturer. 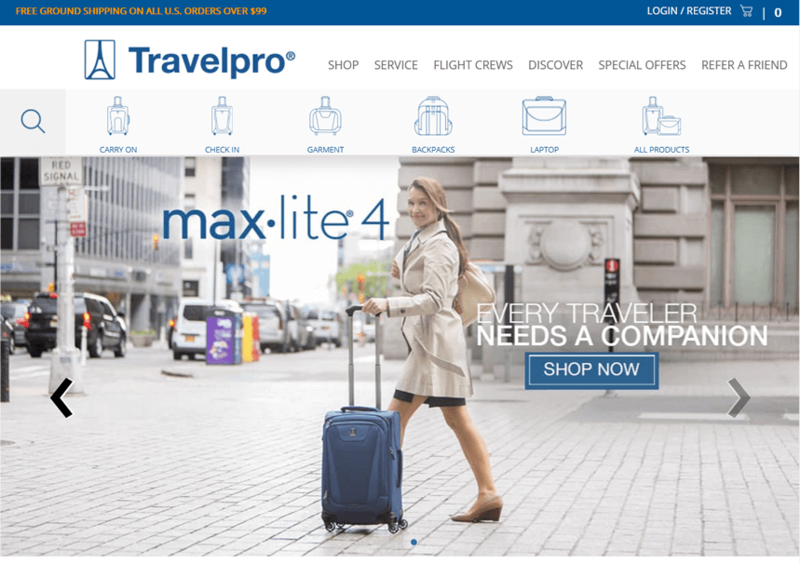 Their offer is divided into easy to navigate categories indicating the purpose of the purchase – such as carry on, check-in, backpacks, and laptop. The store is integrated with the brand’s Instagram, which features photos of travellers who use company’s products on the road. Who doesn’t know Kodak? While they are no longer the giant they once were, their revenue is still well over $1 billion. Of course, only a small slice of that comes from their online store. 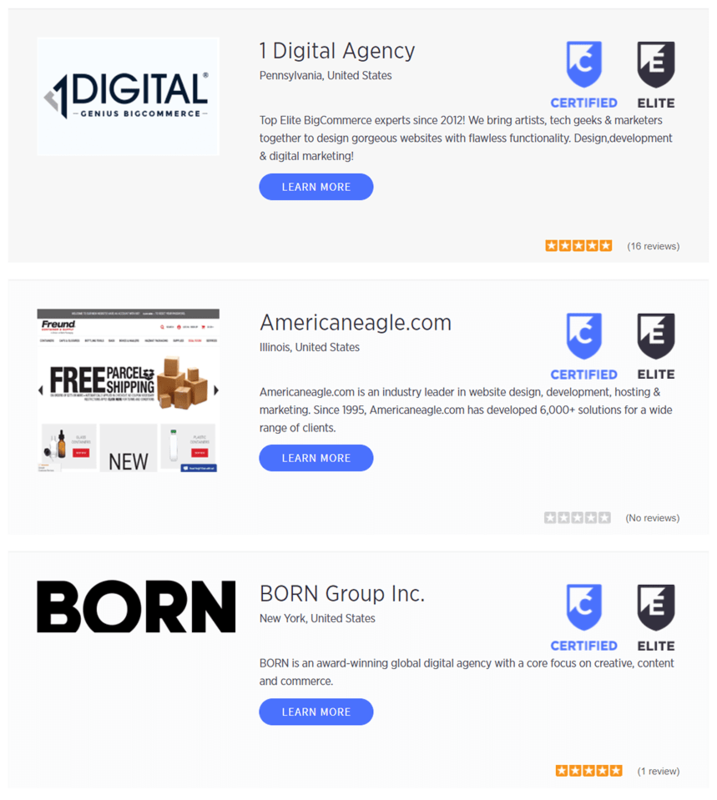 Nevertheless, having such a big company portfolio is a great trust indicator for BigCommerce. 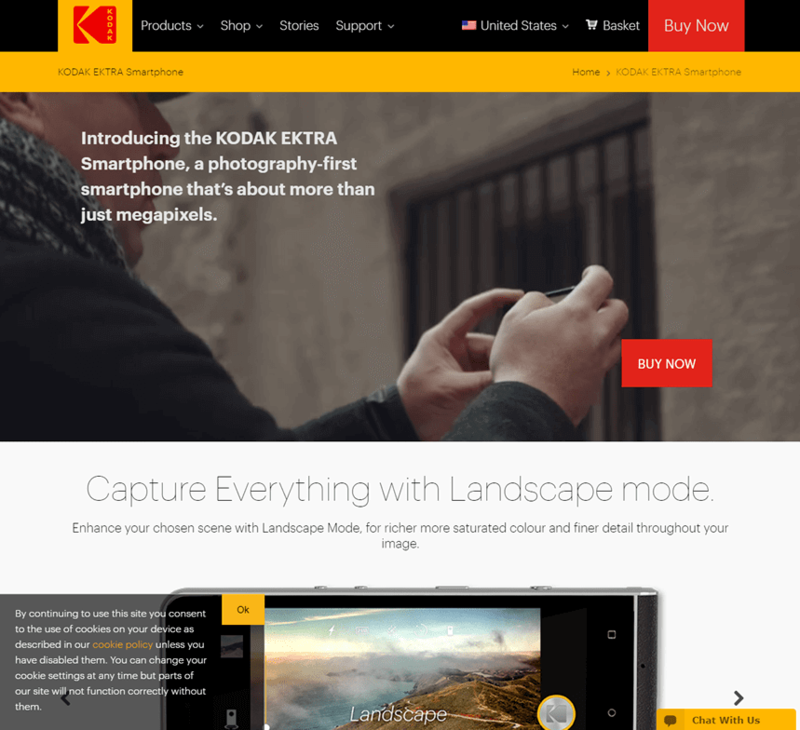 And KodakPhones homepage is an excellent example of what an attention-grabbing landing page looks like. What’s interesting is that the whole store is dedicated to one product and a few of its accessories. The last store is an interesting example of what a clean design, intuitive call-to-actions and benefits presented above the fold can do to boost customer experience. 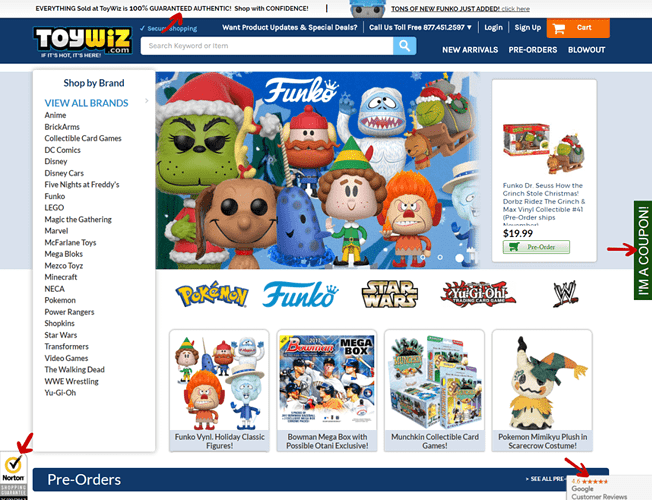 Right after visiting, potential customers know what the store is about (just three main categories make it easy to show them both in the sidebar and the CTAs). All that is followed by a list of products, giving potential customers convenient access to the store’s offer. 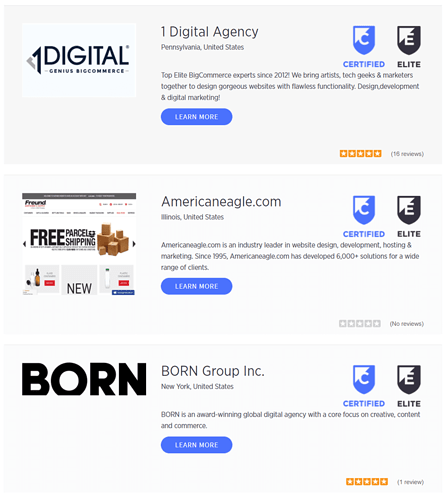 The big names present in company’s portfolio fit the company’s branding well. But what’s even more important is that on top of that, the company does a lot to make the whole process of setting and managing the store as intuitive as possible. This helps attract those with a much smaller budget and less experience. In the next part, I will go over the process of signing up for a trial account, followed by checking out all the basic options to verify whether the platform is as easy to start with as the information on the site suggests. After going over the most important details of the platform, it’s time to give it a test ride. Of course, because of how complex this topic is, I could spend days building, testing, measuring and writing down the results. Instead, let’s focus on what’s most important for the majority of my readers – getting started. 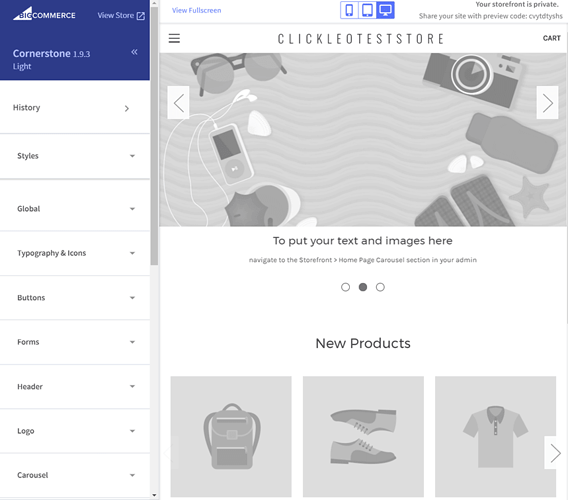 Hopefully, if you like the platform, you’ll be able to run a real-life test of it – build your very own professional eCommerce store. 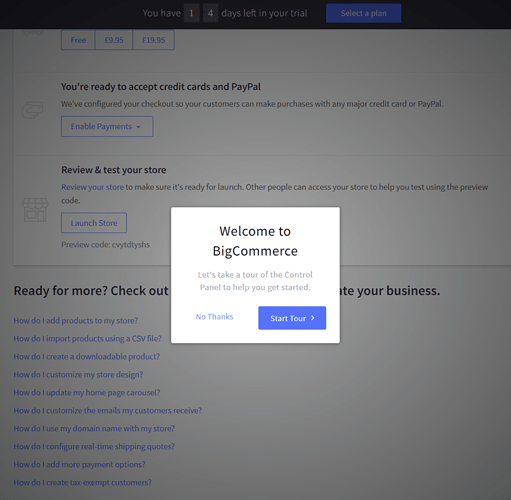 How to create your BigCommerce account. Getting started. You will be asked to provide some personal information. First, your email address. Notice that they explicitly say there is no credit card required which is very convenient and makes the trial a much more enjoyable experience. After that, you will be asked a few simple questions related to your experience, store category and current sales channels. If you don’t want to answer, you’re free to skip them. When you’re done, hit Finish. 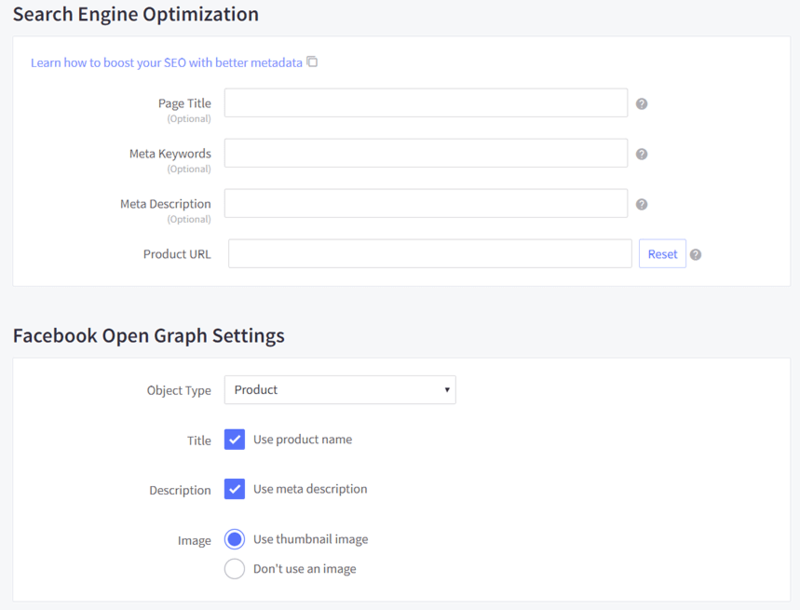 if you skipped it, that’s fine – let’s dive right into the product settings. How to add and manage new products in BigCommerce? Once there, you will be presented with a variety of different options, including product categories, reviews and brands. Let’s start by adding a new product. 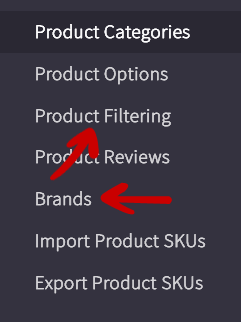 Hit Add to go to the product edit page. 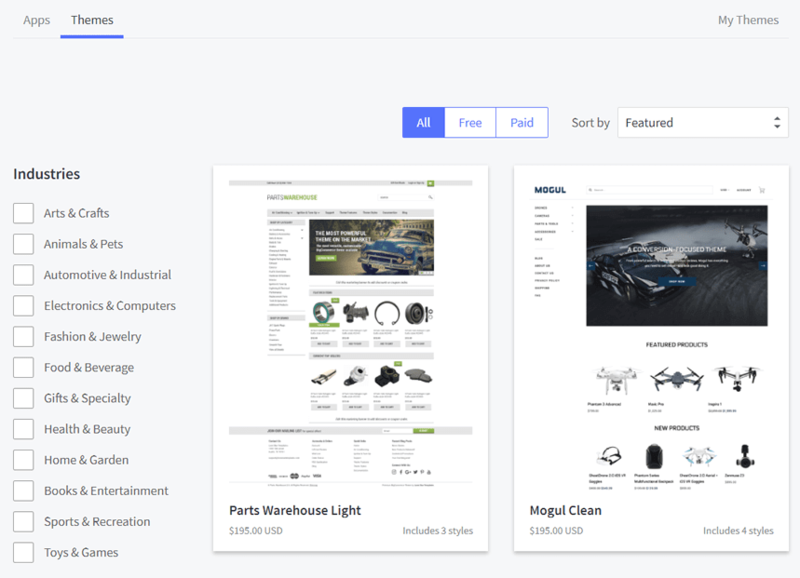 As you can see, the creator is quite similar to that of any other eCommerce CMS (Content Management System) product editor. There is no coding or anything like that required – just fill in the blanks and click save. First, let’s take a closer look at the Summary of the product. Let’s go to Images & Videos . 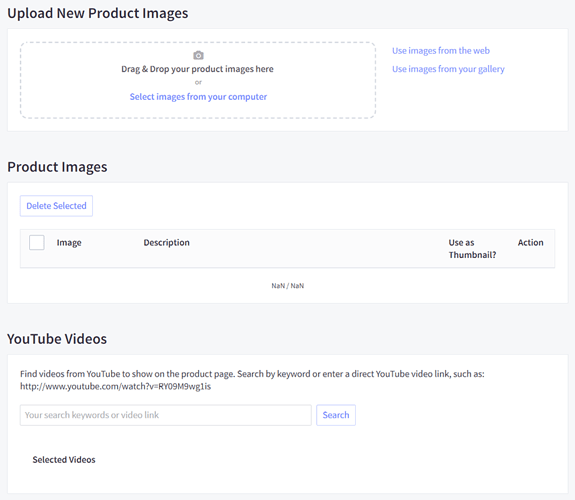 In this page, you can add your product images (either upload them now or pick some from the web or your gallery), add descriptions to already existing images or connect YouTube videos. The best is, you can add more than one. For example, one could be presenting the product, and the other one could be a review of the product recorded by one of your customers. 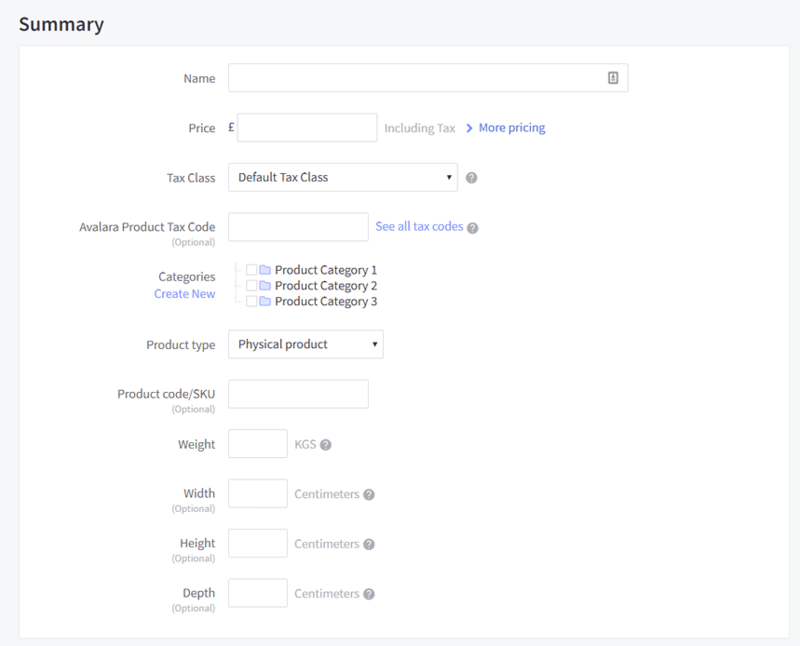 In the Options and SKUs, you can add different stock keeping units to different product variations. For example, if you have different colours of the same shirt, each of them can have a different number. The other setting, Custom Fields gives you the option to add extra fields to the product editor. 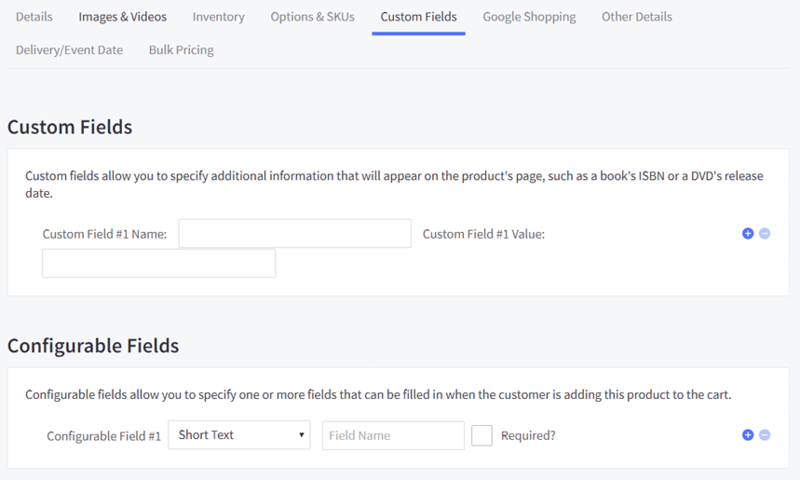 You can use that to include additional information which you believe is important for your customer to make a purchase. 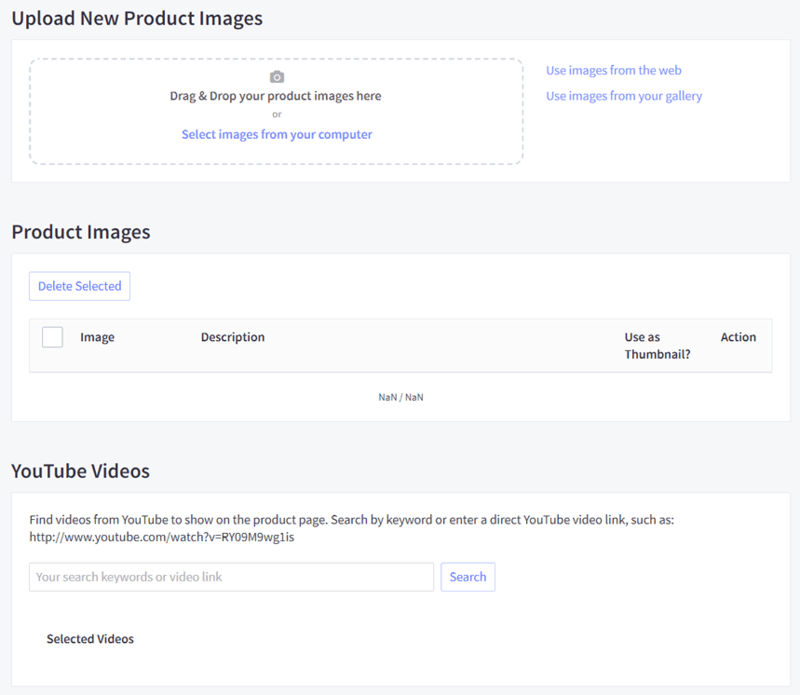 Looks quite ordinary – it has everything you need to create easily navigable product categories for your customers. 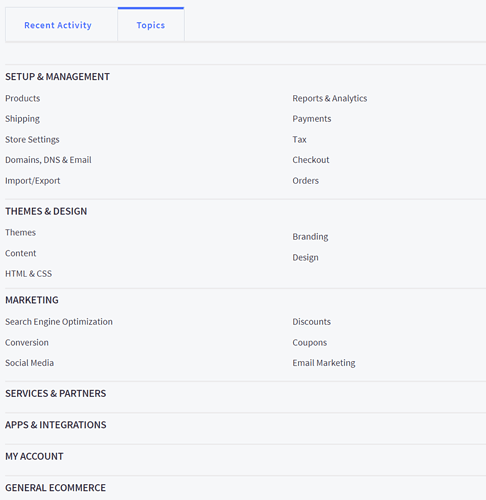 But if you look at the menu, you will see two other options, which can also be used to increase the user experience – product filtering and brands. How to customise the looks of your BigCommerce website? Let’s quickly jump back to the editor. 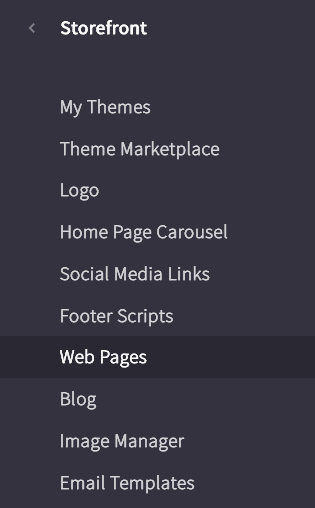 As you can see, everything is based on a drag-and-drop concept followed by menu options which you can use to adjust styles, add icons, edit fonts, heading or change the logo. Everything you could wish for is already there. But what about those with technical knowledge and coding skills? How to add a new page to my BigCommerce store? Adding a new page is also a straightforward process. To do that, go to the Storefront and click Web Pages. 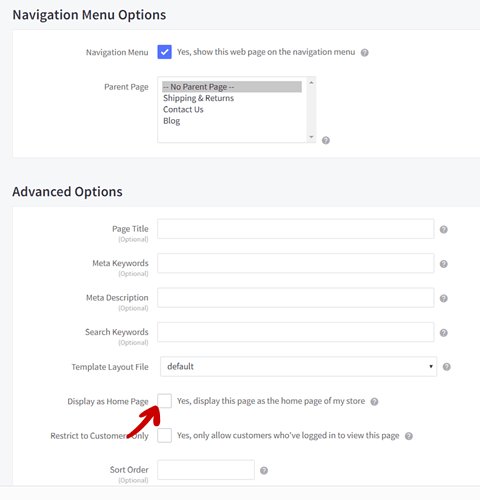 Once there, you will be shown all existing pages and will be given an option to create a new one. If you have ever worked with WordPress, or any other similar content management system, you will quickly see that it’s not much different. To begin, hit Create a Web Page . Next, you will be given an option to use either the WYSIWYG (What You See Is What You Get) visual editor, link the page to another website, display content from an RSS feed, create a questions/comments page utilising a contact form or build a page from scratch using raw HTML. The latter option is a great addition for all those who want a stable and reliable platform with an extra level of freedom. Next, you can pick whether the page should be a child or an independent page, as well as customise some extra options, including SEO ones – page title, search and meta keywords, as well as the meta description. You can also set a page to display as homepage – just tick the appropriate option. 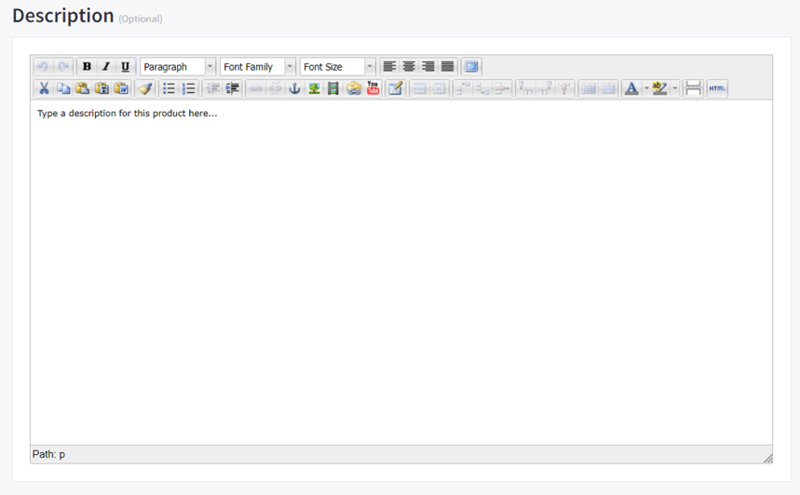 Building pages and adding products is just a foundation. In the end, it’s all about sales and revenue. That’s why it’s so important to have a convenient way to manage orders, select payment methods and analyse the performance of your store. 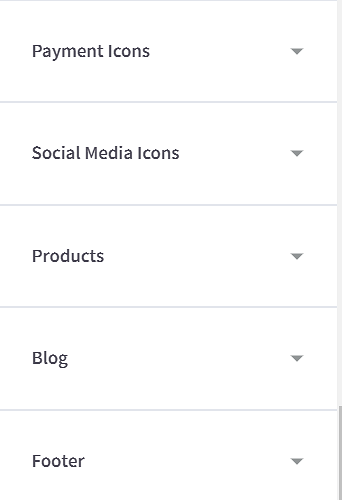 To do all that in your BigCommerce store, we need to visit three different sections. First, to view your orders, click Orders (who would have guessed) in the main menu. 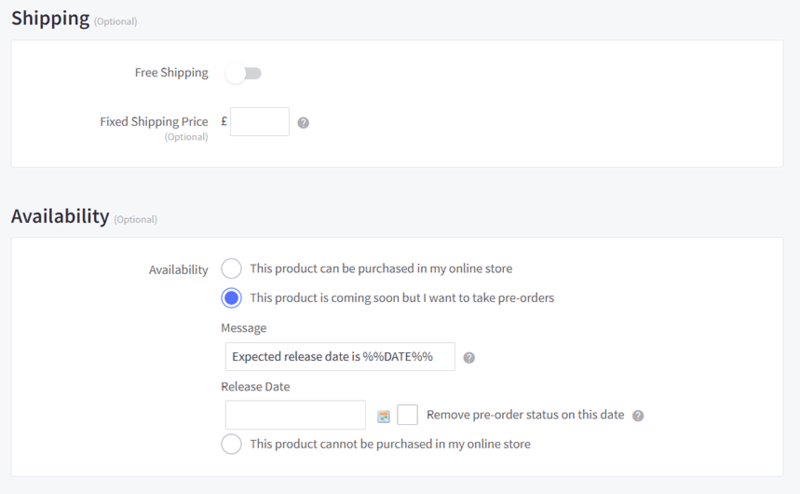 There, you can view all kinds of orders – those shipped, refunded, awaiting payments, shipment or those which are just pre-orders. Having so many different order categories provides you with a very detailed overview of the situation at your store. Next, it’s time to go to the Analytics dashboard. Because there are many different options available, it would take me too long to go over all of them. From basic data which includes your orders or merchandising revenue to more in-depth details, such as cart abandonment and recovery or the behaviour of your site visitors in different stages of their buyer’s journey. Of course, you can’t track your revenue if you don’t set up payment methods. 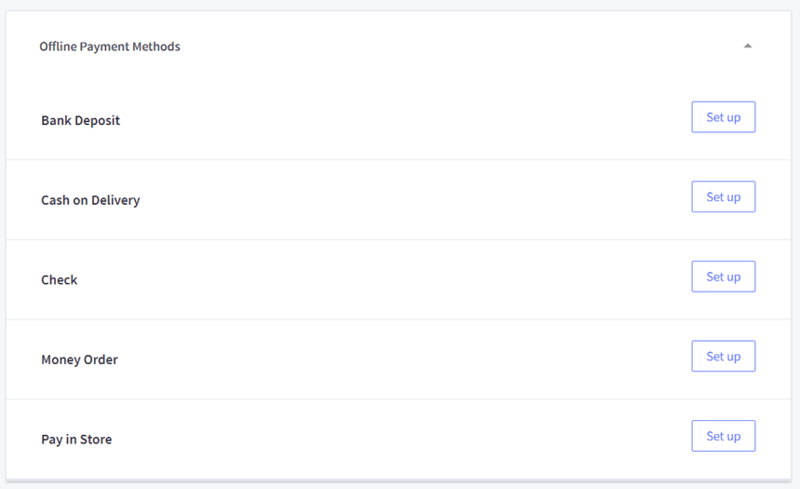 When it comes to processing the payments for your products, BigCommerce gives you a lot of different options. To get to the settings, click Store Setup in the main menu and select Payments tab. There, you’ll be able to configure both offline and online ones. The offline ones include bank deposit, C.O.D, check, money order or payment in store. Naturally, you don’t have to include all of them, so if you don’t accept in-person payments, just don’t set it up. When it comes to processing online payments, there are just too many picks to list. Naturally, all the most trusted ones, such as 2Checkout, Amazon Pay, Authorize.net, PayPal, Skrill, Stripe, WorldPay are available. Additionally, you can select the Digital Wallets category. Sadly, so far users can only select Apple Pay. Having so many options available can be quite confusing. If you’re just starting out with the platform, you probably won’t use most them in the very beginning. But, because you will spend most of your time in just a few tabs, it’s easy to miss some of the interesting options the platform offers. For this review, I picked two, both of which are in the Advanced Settings menu. The first one is Notifications . While most platforms offer this option, what’s great about BigCommerce is that they give you a choice between email and text messages. Now you’ll know about each sale right after it happens – no matter where you are, even without any Internet access. The second option is Gift Wrapping. Of course, you will not use it if you don’t offer this service. But it could boost your sales and provide you with extra revenue. And, considering how easy it is to add it to your store, you can’t really say no to gift wrapping – as long as your products can be given as one! Of course, there are way more interesting options which I could have listed here. But I will leave looking for them to you – have fun exploring and testing! Once you’ve prepared all your products, published all the extra pages, set up every possible payment method and finally convinced yourself to offer gift wrapping, it’s time to review and launch your store. To do that, go to the Store Setup. 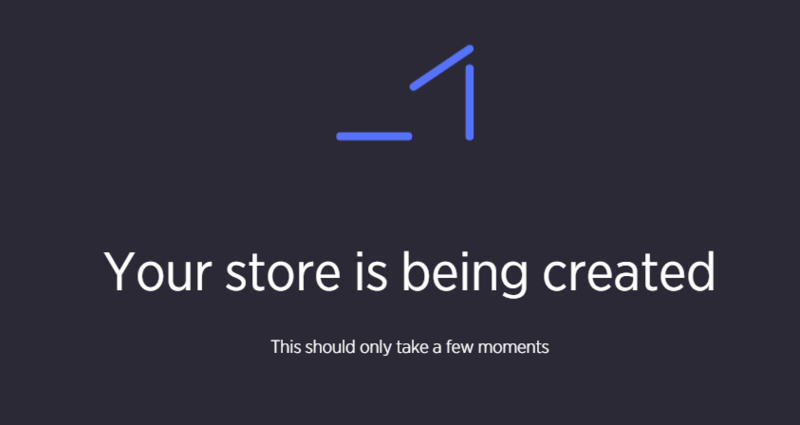 Remember – don’t click the Launch Store if you haven’t reviewed the store yet. Especially if you are investing a lot of money in attracting traffic (hint: PPC). Competition is fierce, so make sure there are no obstacles in the sales funnel. Naturally, once you are ready – go for it and hit the button. And that’s it! Your store is live. 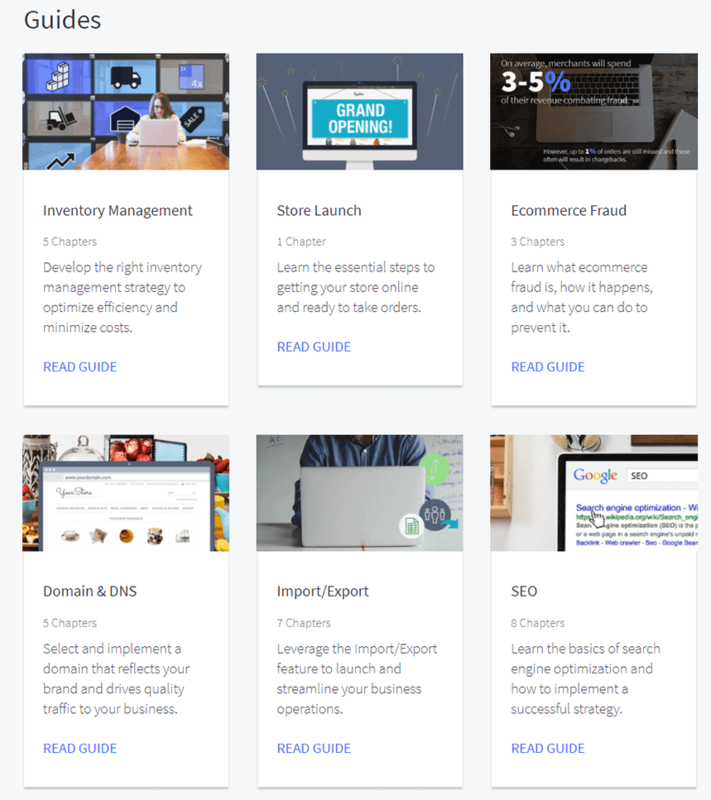 Now that you know how to get started with BigCommerce let’s recap everything that has been said in a short conclusion. A big review for a big eCommerce platform. As we’re about to finish, let me go over the most important strengths and weaknesses once again. What are the strengths of BigCommerce? Great entry-level features: Unlike some of its competitors who create entry-level plans so limited that they are barely useful for running a store, the company provides its users with everything they need to build and grow their store right from the start. No fees on sales and extra PayPal deal: This is huge. BigCommerce doesn’t take any cut from your transactions. None. But not only that – they also negotiated a deal with PayPal (the most popular online payment processor in the world) to lower their fees for credit card processing for all BigCommerce customers. There’s a lot of room for growth . 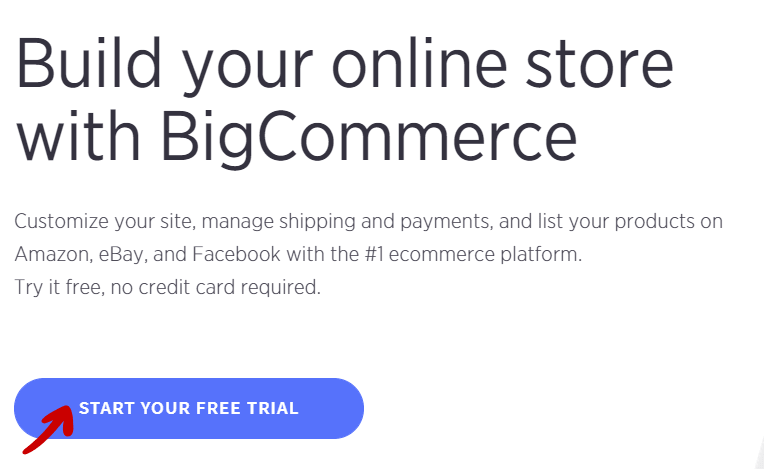 BigCommerce is a great place to start – but it’s an even better place to grow your store. Stable environment, knowledgeable support and features prepared for those who want to turn their websites into big, successful and super profitable ventures. 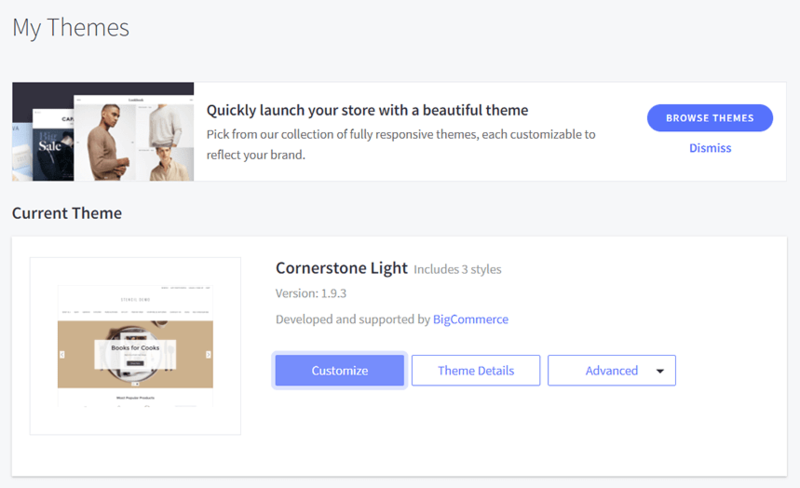 Freedom : Unlike some other closed environments, BigCommerce gives all users the option to customize many elements of the website using HTML and CSS. What are the Weaknesses of BigCommerce? It might be confusing for beginners: Even though the platform offers a lot of help for those just starting out, the number of options can be overwhelming. I probably wouldn’t recommend it to complete beginners. The revenue limit is very low : Sadly, even though the platform offers all those great features even to its entry-level customers, the revenue is capped at $50,000. On the other hand, once you reach it, spending a couple more bucks per month for the platform will not be your main concern. There’s no doubt that BigCommerce is a very robust solution and offers a lot of options for demanding entrepreneurs. At the same time, it’s relatively easy to get started even for complete beginners and offers them a lot of help when it comes to learning – even if it’s the most basic stuff. While the entry-level package is priced a little bit higher compared to the corresponding offer of its competitors, it provides aspiring entrepreneurs with a lot of room for growth. Moreover, the company promises to keep the prices of its enterprise packages lower than other brands. All that makes it easy for me to recommend the platform – especially to all those willing to invest and looking for lots of room for growth.